We’ll professionally remove all types of graffiti from the smallest tag to graffiti covering entire walls. We assess the surface first because different surfaces require different treatments to remove the graffiti and protect the surface underneath. As specialists, we can treat surfaces that others can’t. For instance, we can remove felt tip pen from a stone surface. We guarantee our work will completely remove the graffiti. If it doesn’t, there’ll be no charge. We also provide a colour-match and paint-over service, which generally is a more economical choice for large areas of graffiti. Whether you are looking for a residential or commercial graffiti remover, we can help in all situations. Contact us for a free quote for our graffiti removal prices. We use graffiti cleaning products followed by hot water pressure cleaning techniques that are specific to the surface. Our capture and responsible disposal processes are environmentally safe. 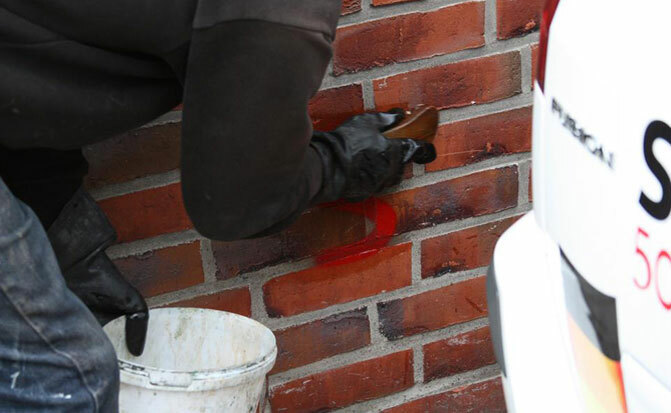 The head technician working on each job has completed vocational training in graffiti removal.